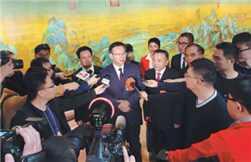 Jiang Jianjun, mayor of Zhanjiang city, gave an inspection tour of Wuchuan city on April 8. 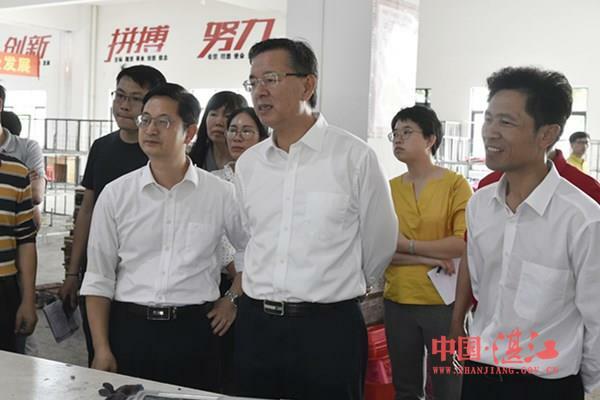 During his tour, the mayor focused on the county-level city's economic development, rural revitalization efforts, and a water quality assessment of the Jianjiang River basin. Jiang urged Wuchuan to introduce leading high-end enterprises to vigorously boost the high-quality development of Zhanjiang. The mayor also encouraged entrepreneurs from Wuchuan to return to their hometowns for investment and construction to promote rural revitalization, as well as to make every effort to improve the water quality of the Jianjiang River basin. 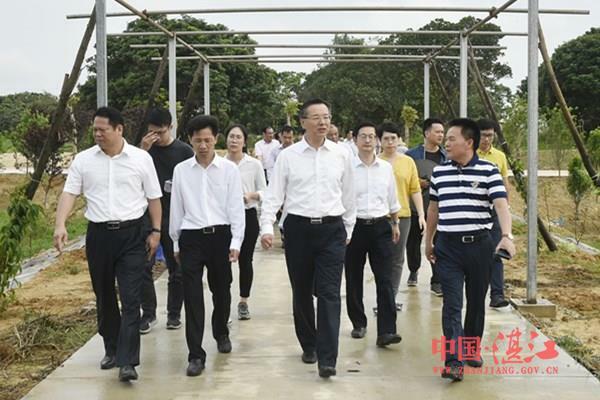 Jiang first inspected the Wuchuan Huayu Industrial Transfer Industrial Park and was briefed on the construction of the Guolian Marine Food Smart Industrial Park project. He said that Wuchuan should make full use of the geographical location advantages of Huayu, introduce more leading high-end enterprises, and promote the high-quality development of Wuchuan's economy and society. Later, the mayor also paid a visit to local shoe companies where he urged them to learn from the experiences of famous enterprises and facilitate the transformation and upgrading of the traditional shoe-making industry. Jiang then headed to Xiajie community and Geling village in Wuyang town to inspect the work on poverty alleviation and rural revitalization efforts.